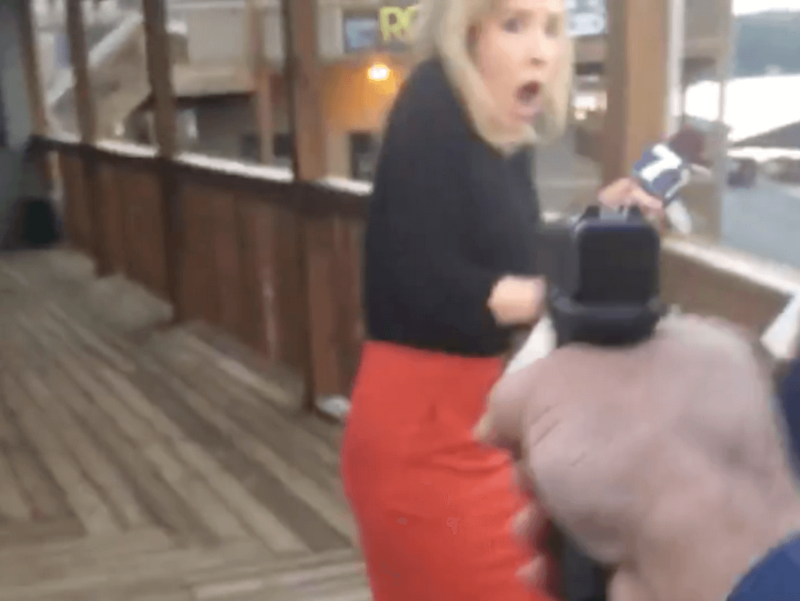 Home Scandal and Gossip Did Vester Lee Flanagan target Alison Parker cause she got him fired? Was Wednesday morning’s shooting payback for being fired by his former employer? 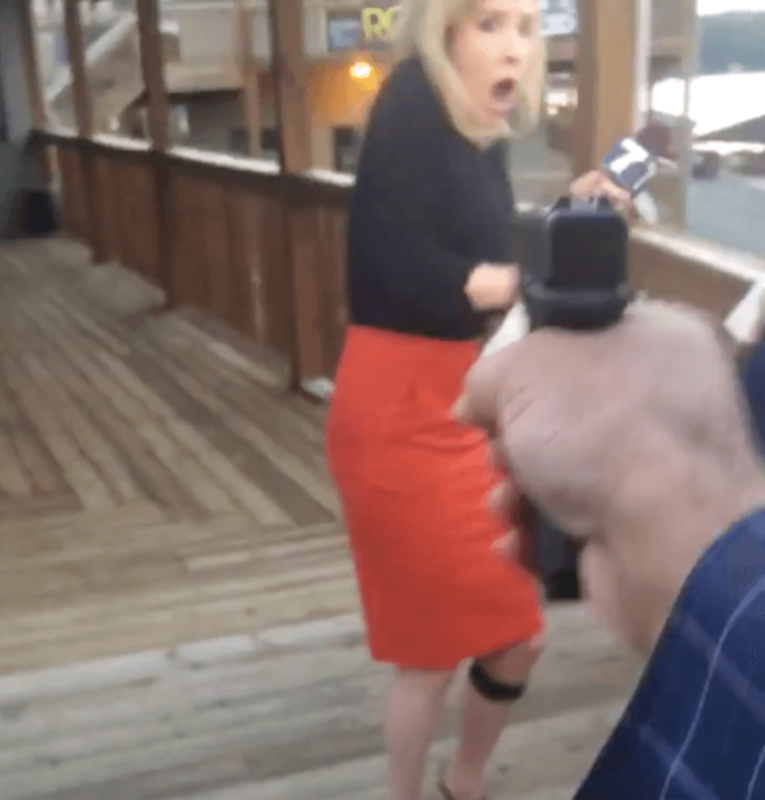 Screen shot of Lee Flanagan momentarily before murdering Alison Parker. 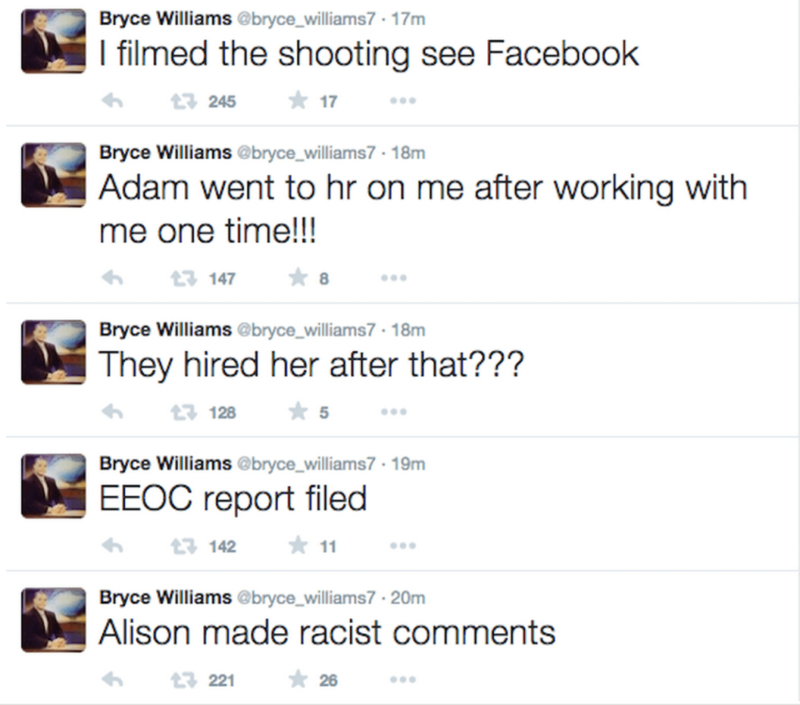 In the days leading to the Roanoke, Virginia shooting Wednesday morning, Vester Lee Flanagan II (also known as Bryce Williams) had posted clippings of a former racial discrimination lawsuit the shooter had been involved in. Screenshots captured before the suspension of the former WBDJ-TV reporter’s twitter account (@bryce_williams7) after sharing heinous video of this morning’s shooting (see here- discretion advised) had Flanagan posting previous newspaper clips (see below) of a lawsuit the gunman had launched with a former employer in 2000. Why the veteran reporter had chosen to post the clippings in the days ahead of the shooting isn’t necessarily understood. 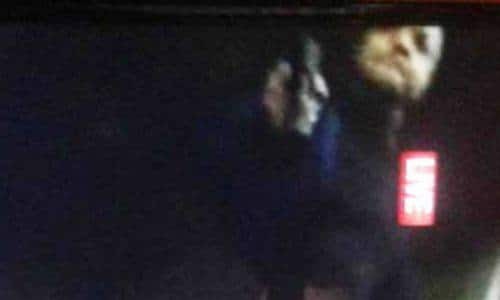 Nevertheless the posting may suggest that Flanagan had been brooding about his recent loss of work after having been dumped by WBDJ a little over two years ago, and may have been setting up for the final throes before Wednesday morning’s targeted shooting of a former colleague and victim, Alison Parker, 24, whom the reporter accused of racial discrimination. The clipping also alluded to tweets the shooter made whilst on the run in which he accused Alison Parker of unwarranted racial sentiments. In his tweets (see screen shots below), Flanagan alleges that Parker made ‘racist comments‘ and that a complaint was filed against her through the equal employment opportunity commission, but his station chose to hire her anyway. It would not be the first time that the veteran African American reporter had filed complaints relating to complains of racial discrimination. 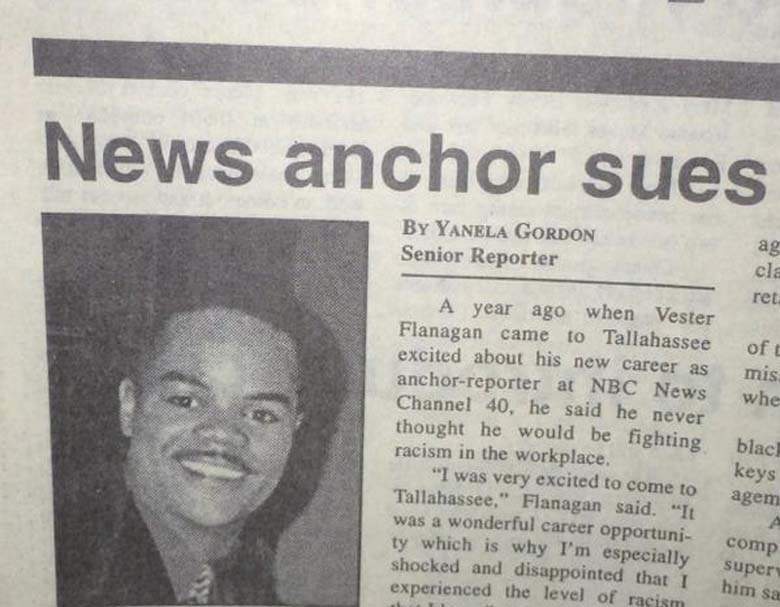 According to federal court records, Flanagan sued WTWC-TV, a Tallahassee, Florida station, in 2000 for ‘discrimination and retaliation.‘ The case was settled, but details of the settlement weren’t immediately available. Of question is how or why the reporter came to be fired from his most recent employment with local CBS affiliate, WBDJ-TV? 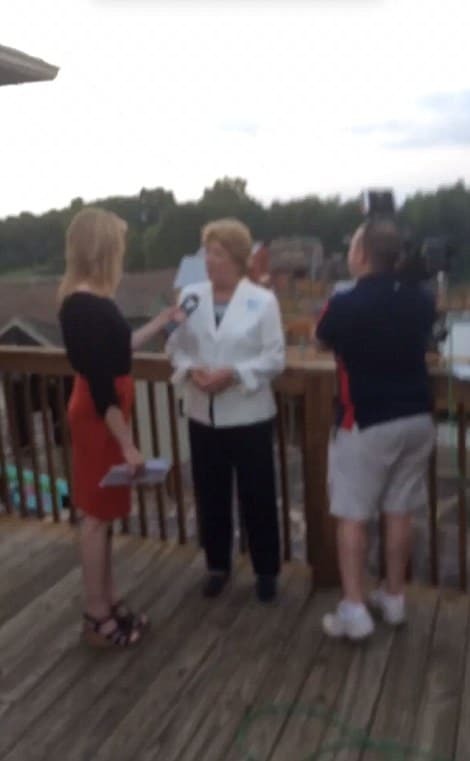 According to a report via NBC, the general manager of WDBJ in Roanoke, Virginia, said that Flanagan had a reputation as ‘being difficult to work with’ and was fired because of anger problems. 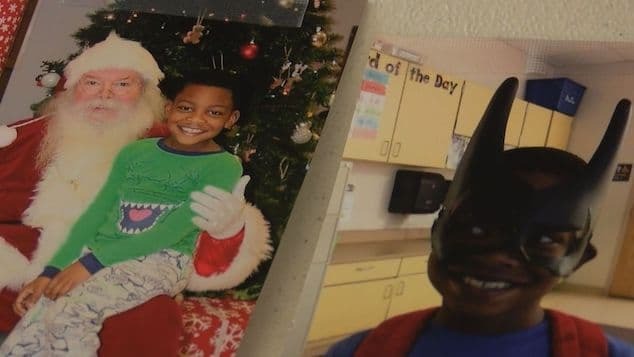 Pursuant to his firing, Flanagan had also threatened to file a complaint with the Equal Employment Opportunity Commission, alleging that one of the victims had made racist remarks. 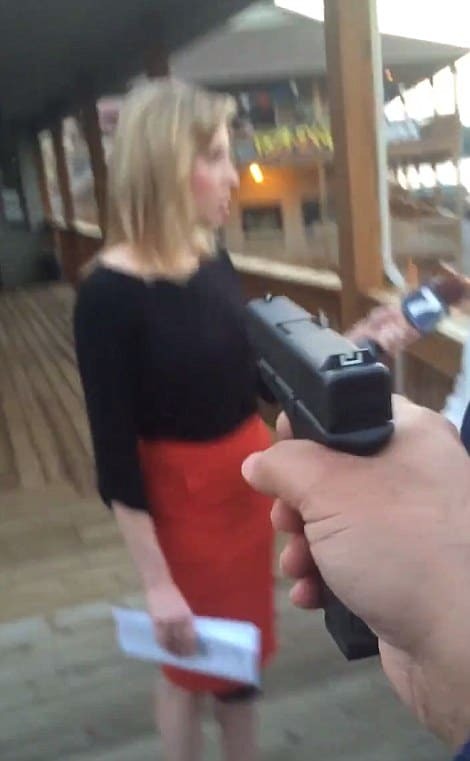 Of question is whether the reporter’s dismissal was directly related to one of his victims, Alison Parker and whether the man had carefully planned her murder over the course of the last two years since his dismissal as he remained unemployed and presumably increasingly stymied?